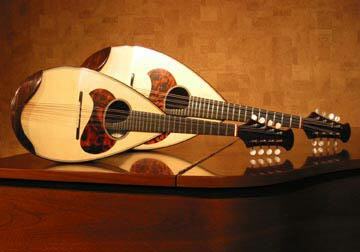 We are mainly dealing with round-back mandolins,mandolas, mandoroncellos, classical guitars, and cuatros. In addition, we sell many kinds of goods for playing these instruments , CDs, and music scores (especially for mandolin and guitar). Sales as well as musical instruments, we are doing well mandolin and　guitar lessons　at our studios in our shop. All our instructors are professional mandolin players, so we can provide practical lessons. Concert planning and management also is important in our business.For many professional and amateur mandolin or guitar players, we provide opportunities to give their recitals and concerts. And providing opportunities to listen to a lot of these kinds of good concerts, is also one of the largest purpose in our work to make things better environment for Japan's mandolin music scene. Our shop is the world's only distributor of the Noguchi Mandolin. Noguchi Mandolin is our most recommended mandolin. Mr.Noguchi Minoru has been involved in mandolin works more than 50 years since 1962, so his instruments have been evaluated by a number of mandolin players from their excellent sound quality. It features a smooth, sweet sound of the treble and the contrary of the heavy and profound of bass sound . For advanced players, Noguchi T-model, and Ohno-model are our highly recommended. They are finished with shellac (French polish) painted.The Ohno-model has produced as a reference to Vinaccia mandolin, Italian famed instruments. Miyano-Matsushima mandolin series are recommended for people seeking mandolins which are easy to play and to play out loud. And also for beginners, this series must be recommended. Pine board table and dark color finishing is very popular for every range of players. It is because there subjected to a matte finish with lacquer coating. Calace mandolin, from Italian traditional mandolin maker, has been centered sound with a sharp sound, and the sound is very distinctive in Naples. If you're a mandolin player, it deserved to have one. Monopia is manufactured in China, and the price is very reasonable.But it is incredibly precise and elaborate quality. The biggest feature is that it has less trouble. We recommend it especially for beginners. Vintage mandolin we are dealing with as well. " Vintage mandolins" we mean more high-value and rare instruments, including old mandolins. We have been dealing with vintages a lot so far. The state of preservation is very important and difficult issue to repair old instruments. We have the expertise craftsmen who are committed to restore them again as perfect instruments and to provide them fully adjustable. Every autumn we hold a Vintage mandolin fair in our shop, to get popular vintage instruments. 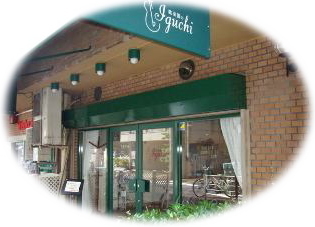 Copyright © IGUCHI, All rights reserved.